An anti-corruption group, Say No Campaign, has given the Economic and Financial Crime Commission (EFCC) a 14-day ultimatum to investigate the Minister of Aviation, Stella Oduah, based on the House of the Representatives report on the ministry’s purchase of two armored BMW cars for N255 million. “The recent corruption allegation against the Minister of Aviation for the illegal purchase of 2 armored BMW cars at the outrageous price of N255 million generated citizens’ uproar and received popular condemnation from different stakeholders in the polity,” the group said in a letter to the anti-graft agency. Last October, the House of Representative ordered its committee on aviation to probe the purchase of the armored vehicles. The committee submitted its report a week later dismissing every claim made by the minister in relation to the purchase. The report revealed that there was no appropriation for the purchase. It also revealed that due process was not followed in the procurement. Quoting section 7 (I) of the EFCC Act, Say No Campaign noted that the anti-graft commission is empowered to investigate all economic and financial crimes. It therefore asked that the EFCC commences investigation into the purchase of the armored cars; arrest the minister and prosecute her in a court of competent jurisdiction. Say No Campaign said it would institute legal action against the commission if it failed to commence investigation into the matter. 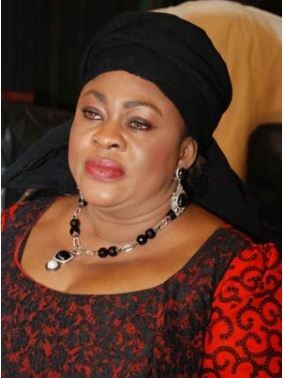 Mrs. Oduah was indicted for approving the purchase of the cars, which were unbudgeted for, at an inflated price. A presidential committee set up by President Goodluck Jonathan is believed to have come to similar conclusion; with many Nigerians calling for the minister’s sack. Apart from the financial scandal, Mrs. Oduah is also involved in an academic qualification scandal where she lied about her educational qualification to Nigeria lawmakers. Mrs. Oduah, a major campaigner for Mr. Jonathan in the 2011 presidential elections, is however yet to be rebuked or removed by the president. The minister for aviation. Mr oduah is suppose to be arrested before now, because she lavished Nigeria money to purchase just tow cars what a mess this can never happen in the American Embassy our political leaders should better stand well before someone sell this country to the americans. @ Oga Fiktor.. Which one consine America Embassy inside this matter?… Na wa O!